Is your skin thirsty? 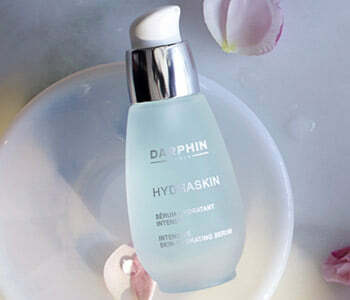 Darphin’s Hydraskin formulas are a deeply hydrating range of skin-quenching products. Ideal for uncomfortable skin that tends to be flaky and lacks oil, moisture and radiance. The Hydraskin range will improve your skin’s ability to retain moisture and shield it against external aggression - so that your skin feels and looks hydrated, plumped and healthy.